If everything is so straight forward, life will be perfect! In Reality, Property does not sell by itself especially if the Developer had done quite a heavy bit of their own advertising. The initial selling price is usually jacked up and to really pull it off in selling – takes patience, time, effort, negotiation and being able to sustain the few months of loan payment. So What Should You Do? For Any Mortgage Loan, There’s Mortgage Insurance! If you only know Term Insurance, there’s in fact a Mortgage Insurance or commonly known as Mortgage Reducing Term Insurance and not to be confused with Decreasing Term Insurance. The interest rate is usually set higher because with a higher interest rate set, the run-down rate is slower than your actual loan reduction and that also means that should anything happens, the payout is more than your actual loan. The Premium is level throughout and not slowly decreasing because nobody will want to pay so much upfront and should anything happen – have paid so much upfront and will not be value for money! Mortgage Insurance is portable among Mortgage Loans. This means that should you clear off one loan and decide to take up a new loan, your existing Mortgage Insurance can be used to cover the new Loan. 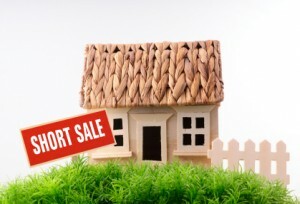 Any shortfall can be covered up with a new Mortgage Insurance. You will get to save premiums in the long run as compared to terminating an existing to get a total new one. You can request to reduce your current Sum Assured after a significant Capital Repayment to see if you can save on the future premiums. Do note that the new premium for the Reduced Sum Assured may be based on your onset age. Please kindly check with your Financial Planner on better clarification. After clearing your Loan, can you still keep your Mortgage Insurance. Answer is Yes! Mortgage Insurance is still a Life Insurance after all therefore you can still keep the Plan after the Loan. Only requirement is that when you apply for the Insurance, you must produce your Legal Loan Document to prove that a loan is in existence and not because you are buying this insurance to save on the premiums. What To Expect For Part 2 and Part 3? Meanwhile, if you are one of the many Singaporeans who have gotten your Private Property, congratulations and do remember it’s a Prized Possession and do get a Mortgage Insurance to protect your loan and your family. What You Need To Know Between Policy Loan and Bonus Encashment? Question on mortgage reducing insurance: what is the relationship between bread winner (person serving the property loan) and the dependant? Must is be parent-child relationship? What about husband-wife relationship? Can this suffice?